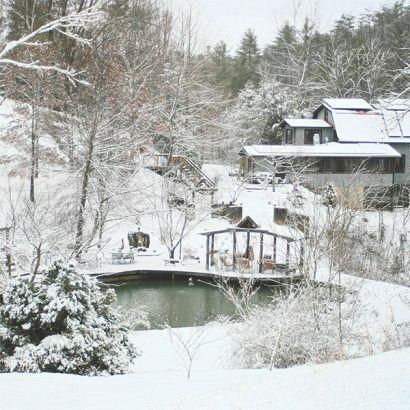 A week-long transformational wintertime retreat to explore your inner landscape. into the warm roots of the trees, winter encourages us to take stock of our innermost riches. In this intimate mystical class series we’ll explore many potent practices for deepening our intuition. 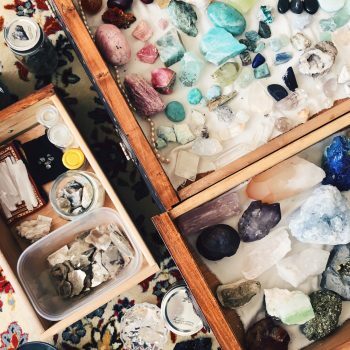 Over the course of our time together we’ll explore dreamwork, shamanic journeying, past life recall, healing with stones, flower essences and plant spirit medicine. Experiential, expansive, and supportive, this class series will create a nurturing container for profound inner exploration this winter. Designed for all levels of experience, this class series serves as a gateway to your own inner alchemy. Come learn techniques for expanding your consciousness and enriching your dreams and join this community of seekers. Practice the art of subtle earth-based medicine and connect to the innate power of your own intuition. We’ll begin this series with a focus on the innermost arts and spiral outwards in rhythm with the season. 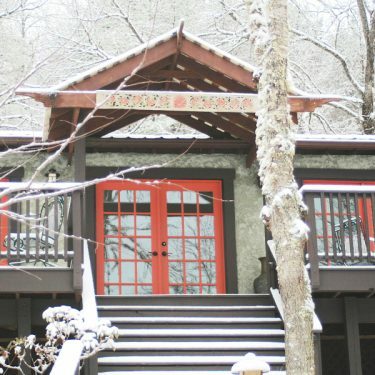 Winter Intuition school is held at the Bend of Ivy Lodge, an eco-friendly retreat center nestled in the coves of the Blue Ridge Mountains. Cozy, peaceful, steeped in nature and embroidered by gardens and ponds, Bend of Ivy is a restful haven here in the mountains. With 63 acres of ponds, meadows, river and gardens, the land also includes a hilltop labyrinth and breathtaking views of the Blue Ridge Mountains. Three seriously delicious, gluten-free meals per day (beginning with dinner on Sunday February 3rd and ending with lunch on February 10th) catered by Blessed 2 Cook. Overnight lodgings with towels and linens in shared double rooms and bathrooms with views of the pond, gardens and surrounding mountains. (I’m gonna say it) actual magic. What will the flow of the week look like? All guests will arrive for dinner on Sunday evening. We’ll begin our week by breaking bread (gluten-free, of course) and then launch into our studies that evening. We have a half-day of class on Wednesday so you have time to relax mid-week and we will all share lunch together on the final Sunday before leaving. If weather permits, we’ll be heading out for a rock hounding field trip on Thursday or Friday! As integration time is just an important as in-class time, there is time every evening and morning for meditation, journey work, tea, dream circles and relaxation. There is also optional programming every evening including: yoga, sound healing, movement and (obviously an integral part of any intuitive work) dance parties. • Who you are in a wider, deeper and truly magical sense. Is the program open to all levels of experience? Absolutely, yes. The program is specifically tailored to be inclusive for all levels of experience. A diversity of backgrounds, beliefs, education and inclinations is what makes this program so very rich! Come exactly as you are. What does the time frame look like? Winter Intuition School I takes place right after Imbolc, the Celtic holiday of midwinter whose darkness promises the return of spring. Class ends on Wednesday at 1:00 pm so you can have the afternoon free. Lunch on Sunday is held at 12:00 pm and we officially say our goodbyes at 1:00 pm. What topics are covered in class? Opening Intuition and Shamanic Journeying, Dreamwork, Past Life Recall, Stones + Crystal healing, Flower essences and Plant Spirit Medicine and Conscious Fasting and Cleansing. The class is structured to be a journey into the realms of our own intuition and consciousness throughout the rich winter months. It is the creation of a container and community that supports transformation and deep inner work, as much as it is an introduction to the various topics mentioned above. This class is geared towards those who are interested in deep inner work, personal destiny + soul growth. Early bird registration (open until January 5th) is $1,899. (Regular price is $1,998). We also have a payment plan available with $333 automatically drafted from your account every month for six months. (The first payment is drafted when you first sign up, and will be scheduled for subsequent drafts at one month intervals from the date originally purchased). We accept all major credit cards as well as Paypal for payment. We are also offering one scholarship position this year, please head over to our scholarship application here to apply. I have food allergies, will there be options for me at the meals? Yes, absolutely. As someone with many food intolerances myself I’m passionate about making sure everyone can eat truly scrumptious meals. Upon registration we’ll send you a form to get a picture of your dietary restrictions and needs. Our new caterer is Chef Dava of Blessed 2 Cook! I prefer a single room, is this possible? There are only two single rooms available at Bend of Ivy, and we are reserving these rooms for folks with the highest needs (elders, those with medical conditions, pregnant women etc.) If you are needing a single room for health reasons please let us know and if rooms are still available we will be happy to accommodate you. Winter is unpredictable – it’s just one of its charms. Because we rent the facilities beforehand, there is no way to shift or change our weekend meeting dates. Therefore, we will be holding class regardless of weather. There is a gravel road down to the Lodge. If there is ice on the ground and you do not have an all-wheel-drive, there will be alternate parking and shuttles available from the top of the hill. How do I get to Bend of Ivy? Is there transportation? Bend of Ivy is just off of 25/70 in the small community of Marshall, NC. If you live regionally please plan on driving or carpooling with other students for your arrival. If you are flying into Asheville, you will need to arrange your own ground transportation. We will send you all the information to make arrangements for transportation, as well as directions, upon registration. Asia Suler is a writer, teacher, herbalist and energy worker who lives in the Blue Ridge Mountains of Western NC. She is the creator and concoctress behind One Willow Apothecaries, a small Appalachian-grown business that offers handmade and heartfelt medicine. She is also the muse behind Woolgathering & Wildcrafting, a blog detailing the potent magic of good medicine: plants and dreams, earth skills and developing a deep connection with the land. Asia began her journey into healing and plant-based medicine after early years of chronic pain. The experience— which pushed her into a deep search for healing, both within and without— led her to the altar of the green world, where she fell irrevocably in love with plants. She began her formal study of herbs with Juliet Blankespoor and the Chestnut School of Herbal Medicine and has continued to study, seek, listen and learn ever since. 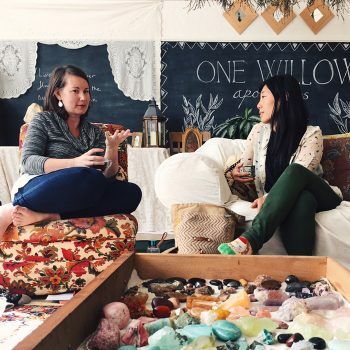 Asia’s work is a unique combination of western and energetic herbalism, stone medicine, earth-centered shamanism and intuitive healing. She holds a B.A in English, Anthropology and Native American studies from Vassar College and a Reiki Master degree. Her training includes work with shamanic dream teacher Robert Moss, psychiatrist Brian Weiss, and Chinese stone medicine practitioner Sarah Thomas of the Jade Purity Lineage. She teaches locally for The Chestnut School of Herbal Medicine, The Blue Ridge School of Herbal Medicine and Ashevillage as well as at her apothecary studio on The Island in Marshall, NC. Asia facilitates workshops at schools and gatherings across the country and is blessed to work intimately with people and plants, spirit and stones. I’m an introvert and I’m a little worried about a whole week of being around other people. You are among good company. 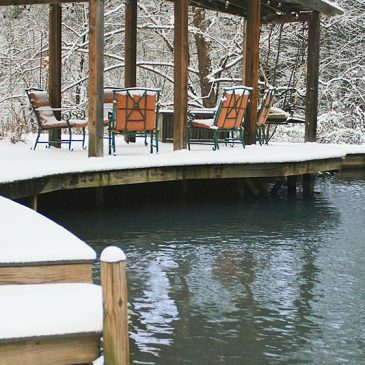 The majority of us who gather for Winter Intuition School are introverts and highly sensitive people, and, as such, we deeply respect each other’s need for quietude. At the start of the weekend I give a talk about the importance of honoring alone time, need for space and time to decompress alone. Headphones are always okay whenever you need to set a good boundary during downtime and you are encouraged to spend as much solo time as you need to truly decompress. I’ll guide everyone as the start of the week to have a conversation with your roommate or suitemates to let each other know what your general needs are for solitude before bedtime etc. Can I sign up for WISE I and WISE II this winter? Yes! I would love to gather with you for both retreats. WISE II is only open to people who have participated in WISE I, and you are welcome to do both in a single winter or space them out in separate years. Register for WISE II here.